Teaching at a brewery is not a quiet environment like your typical yoga studio setting. I invested in a wireless mic and have been fine tuning the rest of the audio system with the help of my husband. 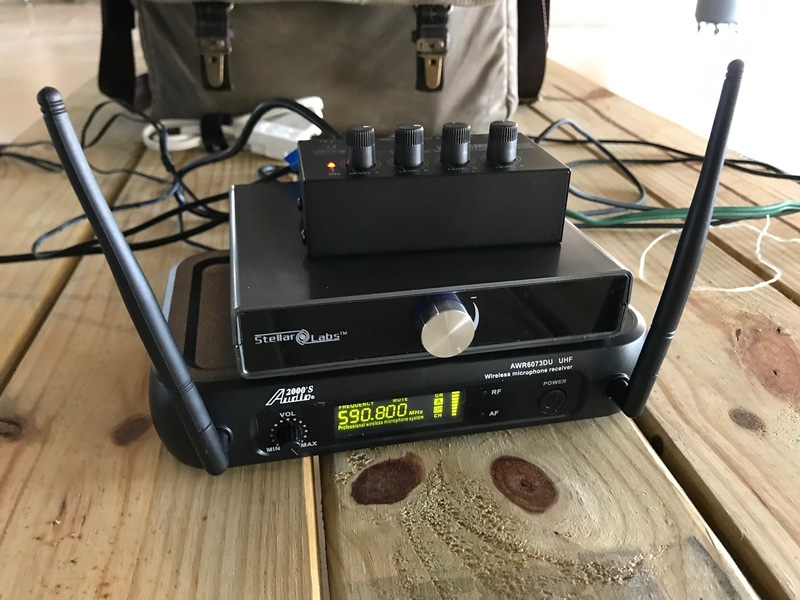 He found a compact digital amplifier by Stellar Labs which can run off of batteries or off of a 12V adapter. When the amp is running off of AA batteries, the audio began clipping when we turned up the volume but it operates as expected when it is running off of 12V AC power (so we opted to not use the battery option for the amp). He found it on close out on MCM Electronic's site, but it's still super cheap on Amazon at $25. Guitar Center had the tiny Behringer MicroMIX MX400 mixer for $25 and it's on Amazon for the same price. The Audio 2000 wireless MIC was $97 on Amazon. 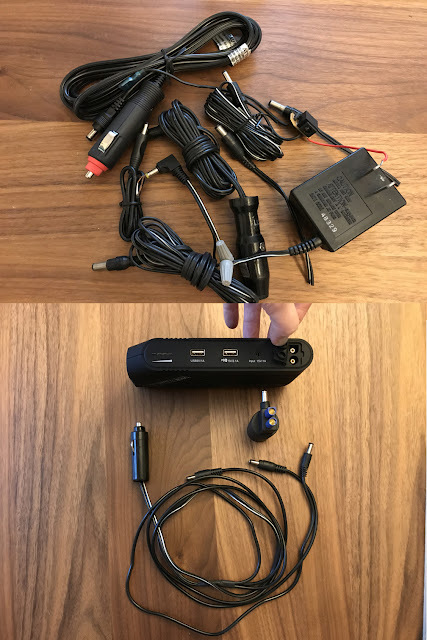 It came with a wireless mic headset, the receiver and a power supply. This whole setup has three devices which need 12V power. Each has a corresponding power supply (wall wart) which terminates in a barrel connector. The speakers are Audio Research "The Edge" speakers and can be had for as little as $10/pair on eBay. Since we're not aiming for fidelity, we used a cut up extension cord for speaker wire (that's why one speaker cable is green). If you have unused speaker wire laying around, use it - otherwise for amplified speech, you can use an old extension cord. It'll get the job done. Here's an easier to read cabling map explaining what is connected to what and with which kind of cable. Here's a better look at the back of the components with notes on what connects into where. For now, this is a simple, lightweight, portable setup which only needs an electrical outlet and a multi outlet adapter for the three power supplies for the mic, amp and mixer. We are working on making this rig battery powered so that I can teach places (outdoors) where an AC power outlet might not be available or convenient. I'll update this post when we've reached a solution for powering these three 12V devices. The BEATIT Tech 600A comes with a cigarette lighter adapter which can be used to power devices like the mixer, amp and wireless mic receiver with a few simple modifications. You may already have an assortment of old cigarette lighter adapters lying around the house (if your house is like ours). 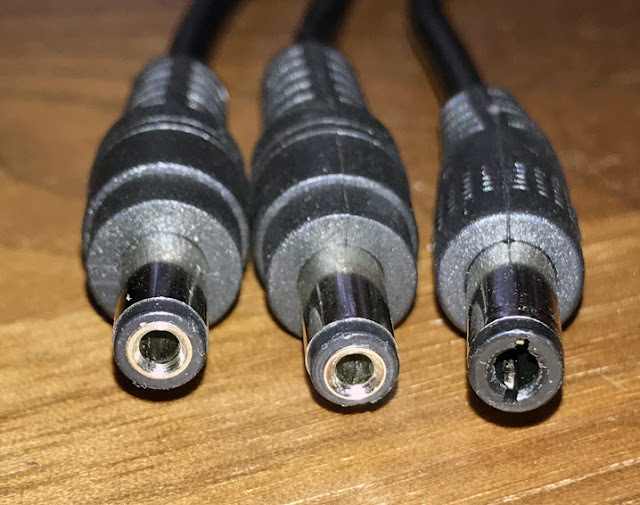 If you don't, this cigarette lighter adapter on Amazon will be your starting place to make a three ended cable which can power each of the three devices with the appropriately sized DC power connectors. 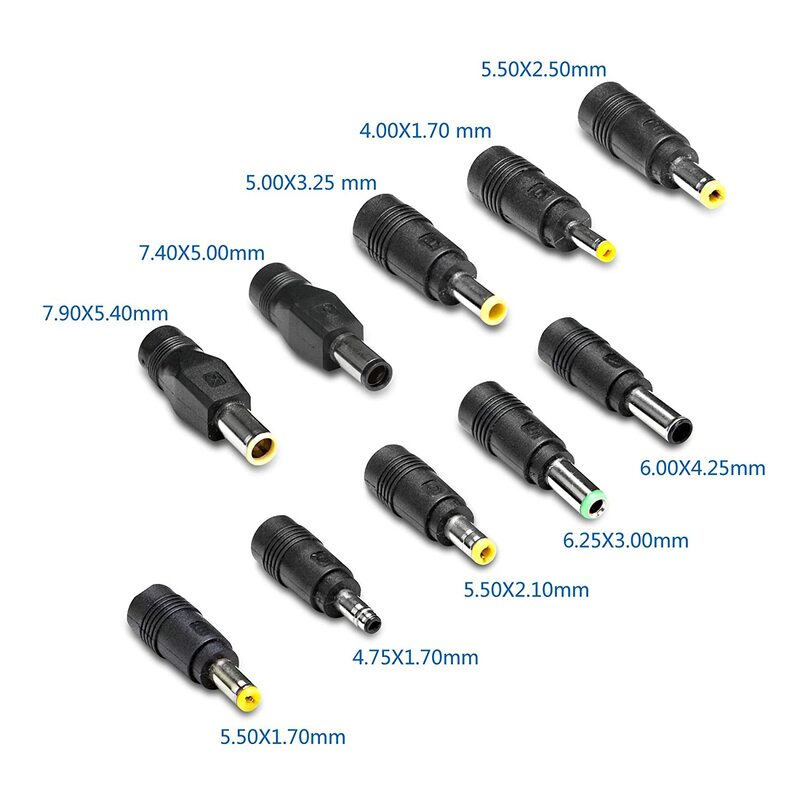 Alternatively, you could use a EC5 Female pigtail to connect to the three 2.5mm DC power connector wires. You'll need an AC power barrel connector which fits each of your audio devices (wireless mic receiver, mixer and amplifier). You will need (3) 2.5mm pigtails to connect to your devices. In order for your power plugs to be interchangeable with the wireless mic, amp and mixer, the pigtails must terminate in an end that has a black plastic ring around the barrel as seen in the photos below. 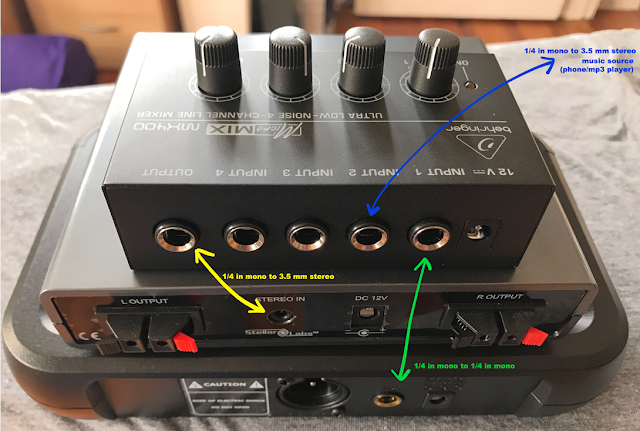 The mixer will only accept the DC plug that has the black plastic end, but the other connectors shown in the picture work interchangeably between the amp and the wireless mic receiver. For this reason, I recommend getting the 2.5mm barrel pigtail that has the black plastic ring at the end of the barrel so that all your plugs will connect into all of the pieces of equipment. Connect red wires to red wires and black wires to black wires. Solder connections or twist wires and tape connection securely. Alternatively, use heat shrink tubing to seal the wire connections. Battery longevity testing was done with the BEATIT fully charged to capacity. A voltmeter was used to test the output of the BEATIT battery before powering on any of the audio equipment. The voltage output was 12.3 at the beginning of testing (this is good). 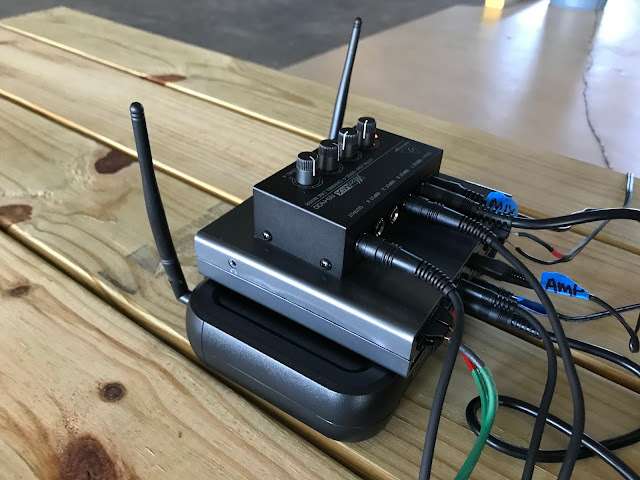 The system (mixer, wireless mic receiver and amp) were powered on with an audio source (an iTouch, Sansa and Samsung Galaxy S7) playing music into the system for well over two hours. The BEATIT voltage tested after two hours at 11.8V (which is also good). The BEATIT battery was capable of powering the system for longer, but two hours is plenty of time for this system to be used for a yoga class from beginning to end. I will say that distortion in the music was audible when playing from a 5th generation iTouch device using the 3.5mm stereo to 1/4 mono cable into the mixer. This is due to the signal coming out of the iTouch being stereo and then converted to Mono over the wire to the mixer. For best music fidelity a stereo to mono converter would be used, but this also means you'd need a 3.5mm stereo to RCA cable and an RCA to 1/4 mono cable. I prefer to have less cables and not worry so much about the music fidelity since mostly it will be me speaking through the PA system. Overall, the audio distortion was not as noticeable when the audio source was a Sansa MP3 player or a Samsung Galaxy S7 edge, but I'll be trying out a cheap mp3 player as the audio source in hopes that a less sophisticated mp3 player than an iTouch will have better audio results. This last weekend, we used the system on battery power and I had a lot of noise in the mic audio when the mixer and the wireless mic receiver were both powered via the battery pack. The noise went away when either the wireless mic receiver or the amp were on AC power. David attributes this noise to the potential for a current ripple effect since all the components are sharing the same DC power source. The workaround is to use the battery powering option of the amplifier (8 AA batteries) which we could not do that day as we only had 2 spare AA batteries. We tested the setup at home but did not encounter the mic audio noise when testing. Audio Research "The Edge" speakers and can be had for as little as $10/pair on eBay.